Fathom – Two states may be the only plausible solution but is it still feasible? Fathom > April 2019 > Two states may be the only plausible solution but is it still feasible? 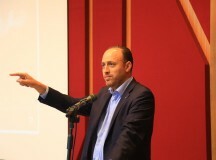 Tony Klug speaking at the Balfour Project conference in October 2013. In January 1973 the Fabian Society published a pamphlet by a young British student, Tony Klug, titled ‘Middle East Conflict: A tale of two peoples’. Boldly, Klug argued that the key to resolving the conflict was the creation of an independent Palestinian state on the West Bank and Gaza Strip, alongside the state of Israel – what in later years came to be known as the ‘two-state solution’. 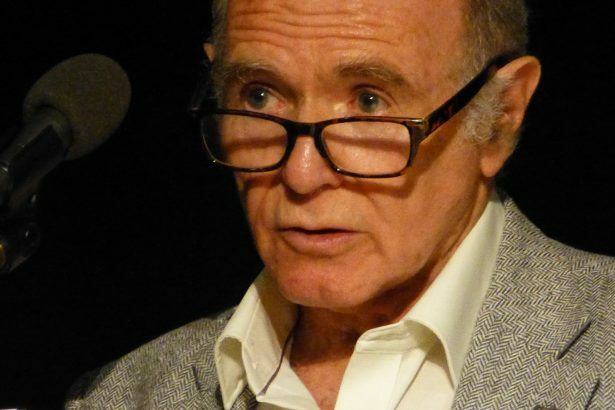 46 years later, in a fascinating talk to Meretz UK in January 2019, Klug spoke about his own journey during the intervening decades, as well as that of the two state solution. Aware of all the failures to negotiate it, and the many changes on the ground, Klug nonetheless cautions against giving up on it, arguing that ‘indefinite strife is the real alternative to two states, we need to face up squarely to this, and stop kidding ourselves with sweet-sounding make-believe alternatives.’He ends with some suggestions of how to advance the two state solution today. 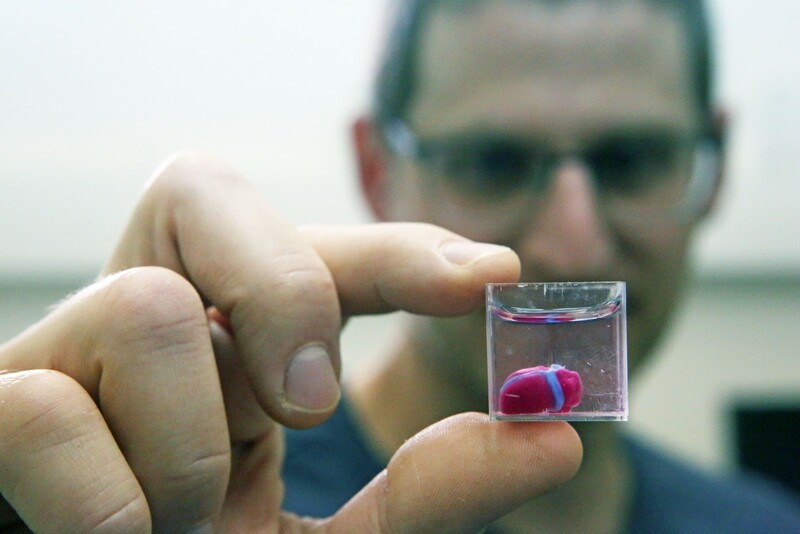 The editors are grateful to Tony Klug and Meretz UK for permission to publish this shortened version of the talk at Fathom. Download a PDF version here. At the risk of sounding ungracious, a part of me regrets being here at all. The heartbreaking conflict between Israelis and Palestinians should have been – and I believe could have been – ended years ago, within the turbulent century that gave rise to it. Now it is stranded in a new century that has many weighty burdens of its own and doesn’t really have the patience or time for it, let alone the memory or the diplomatic skills. Responsibility for the failure to resolve the conflict can be placed at many doorsteps – some more than others – but the chief culprit in my view has been the serial negligence of the major powers. European states in particular have a special responsibility, as it was this continent’s long history of virulent antisemitism at home and rampant imperialism abroad that gave rise to the problem in the first place. The chief casualty of the deadlock has been hope. At this juncture, there is very little of it left. As a consequence, there is today great despair on the Palestinian street and great frustration on the Israeli street. And it is not only the street, but also some of the most distinguished commentators who see no prospect of progress in the near future. Probably, they are right. Nonetheless, there is good reason not to give up quite yet. The status quo is not tenable beyond the short-term and neither military force or terror tactics, nor ‘economic peace’ – whatever that means – or unending repression, offer solutions to what is, at root, a political problem. They only aggravate matters and postpone outcomes. I risk any slender reputation I may have in saying that, sooner or later, there will be a breakthrough of some sort. It will almost certainly come when least anticipated and in the most unlikely form. For this is the Middle East – a region that has an uncanny knack of confounding expectations. The soothsayers, from which I suppose I cannot entirely exclude myself, have routinely got it wrong, for what they habitually fail to spot is that as one door shuts, another unseen door is prone to open. What I propose to do today is to tell you a little of my own journey with this tragic but maddening issue, add some historical perspectives drawing on my personal involvement with both sides, share with you my appraisal of the essential basis of any future solution and whether, indeed, there is a plausible alternative to the two-state paradigm, assess whether what is going on is good or bad for the Jews – but not only for the Jews – and conclude by considering what is needed to breathe new life into the two-state paradigm. My purpose is not to please or to offend. Nor is it to persuade. Rather, it is to relay, candidly, what I have witnessed and what I have learned over the last 50 years or so of active engagement. What you do with that is up to you. I have no axes to grind other than wanting to see this miserable conflict resolved, and I confess to having mislaid my rose-tinted glasses many years ago. My first serious exposure to the conflict came on 5 June 1967, the day war broke out. I was, at the time, president of the students’ union at the University of Birmingham and as I turned up at the campus that morning, I was met by a throng of irate students from diverse backgrounds, all out to tutor me on the rights and wrongs of the conflict, aiming to recruit me to their side. It was a thoroughgoing immersion course and, by the end of the week, I was so much better informed – and so much more confused! Later, I got caught up in national student politics – ending up as deputy president of the National Union of Students (NUS) – and international student politics, where Israel-Palestine polluted just about every agenda, as it still does. More than once, in trying to intervene helpfully, I got my fingers burned and learned something new. At the conclusion of my three-year stint on the NUS executive, I returned to academia to embark on a doctoral thesis on the Israeli occupation of the West Bank. Through concentrated study, intensive investigation and extensive travel, my aim was to cut through all the humbug, make-believe and hype, to get to grips myself with the core of the conflict with the goal of solving it. The grand ambitions – and I suppose grand illusions – of youth! I agreed early on with my supervisor to write a short ‘objective’ history of the conflict as the introductory chapter. He emphasised the importance of rigorously sticking to the facts, of being even-handed, balanced and impartial, of ensuring any assessments were value-free, and of not being influenced by the strong feelings of either side. You know the sort of thing. I set out to do exactly as advised. However, I soon found I could not make even the most basic facts sit still long enough to get them down on paper. Eventually, I concluded that the task was not doable. Then came my ‘eureka’ moment – that blinding insight into the bleeding obvious, as one of my professors was fond of saying – the realisation that what I was trying to do was not achievable; there wasn’t one history but two discrete histories, stemming from two distinct peoples with quite different pasts, whose destinies unhappily collided at the same moment of time. So, with some trepidation, I adopted an entirely different method of looking at the conflict, one that entailed seeing it as the protagonists themselves saw it: subjectively, through their eyes, each in turn, with all the imbalances and emotions and historical traumas – even the distortions, fabrications and pure inventions – left in. For factual inaccuracies or mythologies, when thought to be true, are no less potent than factual truths in the minds of those who believe them. This, I found, was the only way of making sense of disputed facts and throwing light on what made both sides tick. This is not to say objective analysis can be dispensed with. Far from it. But the first step has to be to gain an empathetic understanding of the subjective perceptions. Only then can we bring into play our objective analytical skills. Applying them prematurely is what I referred to at the time as ‘phoney objectivity’. Using this methodology, and egged on by my initially sceptical supervisor, I authored a pamphlet, Middle East Conflict: A tale of two peoples, which mapped out the principal narratives. Published in January 1973 by the Fabian Society, it concluded that key to resolving the conflict was the creation of an independent Palestinian state on the West Bank and Gaza Strip, alongside the state of Israel – what in later years came to be known as the ‘two-state solution,’ a term I’m not very fond of although, through attrition, I do tend to use it nowadays. This combined subjective/objective approach led inexorably to the finding that both peoples overwhelmingly wanted their own state and were not prepared to settle for anything less. I could see no other way of accommodating and reconciling their common, basic, irreducible aspirations. A proposed solution that was unable to meet the ‘bare-minimum-aspiration’ test – on both sides – was, it seemed to me, implausible and so, whatever else it may be, it could not be a solution. Accordingly, a so-called ‘one-state solution’ was, in my eyes, an oxymoron. I will expand on this reasoning shortly and on whether I still view the matter that way. I am conscious of the danger of sticking doggedly to a position that may have passed its sell-by date. Before getting to that, let’s sketch the two core perspectives, although drastically condensing them inevitably carries the risk of doing them an injustice. It probably makes sense chronologically to start with the Israeli Jewish perspective and then move on to the Palestinian Arab perspective, so I shall follow this order. The underlying case for a Jewish homeland was strikingly, if inadvertently, put by the British poet Lord Byron, as far back as 1815, when some of the worst tragedies to face the Jewish people, including the tsarist pogroms and the Nazi Holocaust, still lay a distance ahead. Byron wrote: ‘The wild dove hath her nest, the fox his cave, mankind their country, Israel but the grave!’ By ‘Israel,’ of course, he meant the Jewish people. Once the Zionist movement eventually came into being, however, several decades later, all sorts of conspiracy theories and malevolent intent were fastened onto it by its detractors, some of it giving off a familiar antisemitic whiff, not so different from that which played the decisive role in winning so many Jews and others to the Zionist cause in the first place. Conceptually, Zionism was a distressed people’s proud, if defiant, response to centuries of contempt, humiliation, discrimination, expulsions and periodic bouts of murderous oppression. The Israeli state was the would-be phoenix to rise from the Jewish embers still smouldering in the blood-soaked earth of another continent. The underlying purpose was the affirmative one of achieving safety and justice for a tormented people, not the negative one of doing damage to another people. Yet, in the attempt to rectify the enduring Jewish calamity, the reality – as we step out of one pair of shoes and step into the other – is that damage was inflicted on another people, on the hapless Palestinian Arabs who paid a heavy price and are still paying it. The Palestinians, like all colonised peoples, had long yearned for their independence free from foreign rule, only to find that, in their case, another people, mostly from foreign parts, was simultaneously laying claim to the same land. Naturally, the Palestinians resisted. Any people would have resisted. The Palestinians, in like fashion, did not set out to damage anyone but aspired to what they felt was rightfully theirs. Displaced, dispossessed and deserted, they were among the principal losers in the geopolitical lottery that followed the horrors of the Second World War. Their original felony was, in essence, to be in the way of another distressed people’s frantic survival strategy, fuelled by an industrial genocide for which the Palestinians’ bore no responsibility. Virtually everything that has happened since then is in some way a consequence of this fateful clash of historical forces. As these renditions signify, the core case for each side has its own internal justification which is not snuffed out because the other side also has – in its own terms – a compelling case. Looked at this way, it is hard to conceive the long-suffering Palestinian Arabs – a people that has been miserably treated not just by the advent of the Jewish state but also by a succession of Arab states – ever giving up their struggle for independence, just as it is hard to imagine the fiercely independent Israeli Jews – after some two thousand years of precarious existence – ever agreeing to become a minority again in someone else’s land. Fast forward to today, there is no perceptible retreat in the basic aspirations of both peoples for self-determination and statehood. Indeed, if anything, there has been an intensification of these sentiments. Against this, there is little evidence of much authentic – as opposed to lip-service – support for anything else. Part 3: The one-state idea may be seductive but is it plausible? Yet, people do talk increasingly nowadays of a ‘one-state solution’. But the term is used loosely and once you start to interrogate the intent of its advocates, you realise they have very different conceptions of what it would mean. Most of the myriad one-state alternatives – a Muslim state, a Jewish state, an Arab state, secular, unitary, democratic, federal, bi-national, cantonal or multi-confessional – are ill-thought out, unrealistic, and often contradictory and would deny national rights to either or both peoples. Thus, they are viewed as deeply threatening by one side or the other or, in some cases, by both sides. It is worth recalling that over the past 60 years, there have been several – initially enthusiastic but ultimately unsuccessful – attempts in the region to merge separate entities. Probably the best known was the United Arab Republic of Egypt and Syria – envisaged as an initial step toward creating a wider pan-Arab union – which lasted, mostly on paper, from 1958 to 1961, when Syria formally withdrew. Other short-lived experiments at Arab unity have included, at different times, Iraq, Jordan, North Yemen as it then was, Sudan and Libya. If such attempts spectacularly failed among peoples who in some way perceive themselves as sharing a common language, culture, religion, ethnicity and a sense of history and destiny, on what grounds would we, in all seriousness, anticipate a more positive outcome between two peoples who share none of these traits or aspirations and who have been bitter foes for the best part of a century? This said, none of the above is to rule out a future confederative-type arrangement for Israel, Palestine and maybe Jordan too, roughly analogous to Benelux. But it is instructive to note that the constituent states of Belgium, the Netherlands and Luxembourg have retained their official independence and separate identities. A similar comment could be made for the member states of the European Union. National allegiances evidently continue to have an important appeal. Moreover, a superstructure embracing the independent states of Israel and Jordan together with a Palestinian entity would not be a confederation at all unless and until a sovereign Palestine can, like the other two sovereign constituents, freely opt into it. Otherwise, it would in effect be a Jordanian-Israeli condominium over Palestine. Or, if just Israel and Palestine, an Israeli hegemonic state. So a confederation is not an alternative to a Palestinian state but a potential – and I would say desirable – outgrowth of it. The state needs to be established first. What’s more, a confederation of two states is two states, not one state. First, to state the obvious, fundamental rights are not determined by the number of states. They could in principle be realised – or not – in one state, two states or multiple states, whether in Israel-Palestine or with regard to any neighbouring states. The number is not the issue. Second, this particular one-state vision is predicated on the simplistic notion that complex Middle Eastern societies can be atomised down to the level of the individual and that what, at its core, is a historical clash of two national movements can, hey presto, be reduced to a one-dimensional struggle for civil rights. This vision doesn’t much like national sentiment, so it summarily discounts the rudimentary need for both peoples to come to terms with the national imperative of the other. Indeed, it is predicated on there being no such national imperative. This denial, whether doctrinaire or merely uninformed, is essentially self-serving and is its most serious defect. Third, the proponents of this vision – however well-intentioned – are emulating an old European / British tradition that has historically imposed its own values, systems and political preferences on other peoples. Whether this instinct emanates from the Right, the Centre or the Left, it reflects an underlying neo-colonial mindset of ‘We know best’ that has caused mayhem around the world for generations. I have sometimes portrayed this urge to impose a vision that originates from the outside rather than from the inside as: ‘Here is a solution, where is the problem?’ If you look around the region, you would be hard-pushed to find examples of this particular one-state model. That should at least give its ardent proponents pause for thought. Fourth, a one-state set-up would be unlikely to be the end of the matter. The Scots, the Catalans, the Basques, among other peoples, live in democratic secular states with full equal rights, yet this hasn’t stopped many of them from agitating for self-determination and separate statehood. Czechoslovakia was one united democratic secular state until a disgruntled Slovakia seceded in 1993. Fifth, calling for one state undermines – if not comprehensively sabotages – the worldwide campaign to terminate the occupation through a physical Israeli withdrawal from the West Bank. The embrace of one state, by contrast, lends legitimacy to Israel remaining in situ and to the whole settlement enterprise, including annexation of territory. It plays right into the hands of the current hard-line government and the Israeli far-right. Finally, calls for one state are often predicated on the premise that the two-state solution has failed. But it hasn’t even been tried. The problem has not been with the two-state end, but with the means of achieving it: the chronic failure of world powers to apply appropriate, targeted and concerted pressure, whether through incentives or penalties. Changing the end will not, abracadabra, make the means more effective. On the contrary, it would mean starting all over from scratch with a new end – a lot less clearly defined – that, in any version, currently lacks support internationally as well as locally. It will set back the struggle for an equitable end of conflict immeasurably, if not indefinitely. Forging an international consensus is not easily achieved and should not be taken for granted. In the case of two states, it was an uphill battle for many years following the 1967 war. Indeed, it took until March 2002 for the UN Security Council eventually to adopt it as official UN policy. In the same month, the Arab League unanimously adopted and launched its Arab Peace Initiative which, in essence, envisaged comprehensive peace and full diplomatic relations between Israel and all Arab states based on the establishment of a Palestinian state alongside Israel, with East Jerusalem as its capital, and what it has called a ‘just and agreed settlement’ of the Palestinian refugee problem. Significantly, more than a hundred retired Israeli generals have endorsed this approach, but so far the Israeli government has been quite dismissive of it. This initiative, once known as the Saudi initiative, coupled with the earlier Sadat initiative and the subsequent Palestine Liberation Organisation (PLO) initiative, which I will come to in a moment, contradict the idea that the Arabs have not changed their positions since 1967, that they remain viscerally committed to the destruction of Israel, and always will be, and that they have never put forward constructive proposals. This notion resides more in the imaginings of the ideologues, the propagandists and the simply confused or plain ignorant than grounded in reality. It is not an Arab position but more an Israeli take on the Arab position. On its part, the PLO officially embraced the two-state paradigm in 1988 at its landmark congress in Algiers, following years of agonised internal debate, which included the assassination of at least two high-level Palestinian proponents. The immensity of this move – sometimes lauded as the PLO’s grand ‘historical compromise’ – should not be underestimated. It was a hard pill to swallow, as it meant lowering Palestinian sights from the hitherto unshakeable demand for 100 per cent of the land and accepting a scaled-down state on the remaining 22 per cent, comprising the occupied territories of the West Bank and Gaza Strip, with East Jerusalem as its capital. Additionally, opinion polls for many years from the 1990s onwards showed more than two-thirds support for the two-state idea among Palestinians, and among Israelis too. However, there have been some wobbles in more recent times, with support appearing to wane on both sides. This decline in support is largely because people are losing faith in it as a practical outcome. But it’s not just that. There is, in addition, a common and growing illusion that a deal based on mutual recognition is no longer necessary. Ominously, there are indications that both sides are reverting to the entrenched attitudes of an earlier era when each summarily rejected the national imperative of the other, for obviously self-serving reasons. These rigid attitudes steadily eroded in the years following the 1967 war, culminating in effective mutual recognition in the Oslo Accords of the 1990s. Over those three decades, both Palestinians and Israelis gradually, if reluctantly, came round to the view that accommodating the other people’s national rights was critical to attaining or preserving their own national rights. However, more recently, there appears to be a growing perception on the Israeli side of the Palestinians as weak and divided and that, after more than 50 years of Israel ruling the West Bank, the Palestinians will have to accept their fate as a defeated people. They won’t of course. Their struggle will continue one way or another, internally or externally. On their part, the Palestinians have witnessed a dramatic, if sometimes overstated, shift of international sympathy from the Israeli side to the Palestinian cause. This has fuelled the belief among some of them that they don’t after all need to come to terms with the Israeli reality, as time will take care of the problem. So, they too are loosening their allegiance to the two-state idea and reverting to their former maximal demands. But there is a fundamental fallacy here, for the two-state idea was not based in the first place on support for it by the two peoples. Indeed, it was conceived at a time when there was very little such support by either of them. Rather, the idea was predicated on the zeal of each people for their own state and, as previously indicated, there is no discernible evidence of a reduction in this sentiment on either side. In summary, a two-state outcome appears still to be the only plausible solution. What is alarming, however, is that it is becoming less feasible by the day, as the number of Israeli settlers on the West Bank continues to escalate from fewer than 5,000 in the early 1970s to hundreds of thousands today. Some estimates put the number as high as 800,000, including East Jerusalem. Many of the settlements have been strategically located so that they surround and dominate the Palestinian population of the West Bank. Coupled with the fragmentation of the West Bank into three or arguably four discrete areas plus the unconcealed annexationist yearnings of leading Israeli politicians, including government ministers, this policy is designed – quite deliberately – to entrench Israeli rule and prevent the formation of a Palestinian state. But it is not only the Palestinians who are blighted by the protracted occupation. It is also impacting Israel’s own citizens in the form of spreading anti-Israel sentiment, creeping isolation, an expanding boycott campaign, growing challenges to the legitimacy of the state itself, spreading accusations of apartheid and the steady erosion of internal democracy, a telling symptom of the moral damage exacted on a society that daily enforces a despised military rule over another people. If there is one cast-iron law of history it is probably that occupations are, sooner or later, resisted. If there is a second, it is that they brutalise and corrupt the occupier as well as the occupied. Despite the eloquent but vacuous assurances of Israeli Prime Minister Benjamin Netanyahu, who may himself be indicted shortly on corruption charges, these problems will only get worse as Israel’s ‘occupation chickens’ continue to come home to roost. And if we do lose the only plausible solution, we will indeed have to contend with a situation of perpetual conflict, with all its noxious consequences. Make no mistake about this. Indefinite strife is the real alternative to two states. We need to face up squarely to this, and stop kidding ourselves with sweet-sounding make-believe alternatives. Many Jews – and others too – have uncomfortably co-existed with the Israeli occupation for years by sheltering behind the idea that one day soon there will be a viable Palestinian state alongside Israel, in which Palestinians will be able to exercise their national, political and civil rights. But the present Israeli government is unashamedly blowing the roof off of this bogus sanctuary. 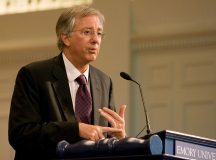 A state that declares itself, loudly and often, to be Jewish, that demands of others that it be recognised as Jewish, and whose leaders often claim to act in the name of Jews worldwide, is gearing itself – in total defiance of quintessential Jewish principles – to withholding fundamental human rights from millions of people indefinitely. Simultaneously, and not by coincidence, it is aligning itself with some of the most repugnant right-wing regimes and causes on the planet – including some with notorious antisemitic links – and takes pride in selling arms to quite a few of them. The notable rightward drift in political leanings and moral principles in recent years in some Jewish circles in countries outside of Israel is, I venture, at least partly a ‘blow-back’ from Israeli politics. It is a trend that I think is very alarming. Unless Israel swiftly changes course – which I sincerely hope will happen, although realistically not under this government – Jews around the world will find themselves increasingly forced to choose, consciously or subconsciously, between tribal loyalty to contemporary Israeli policies and enduring loyalty to such existential Jewish values as justice, freedom, equality and peace, rooted in the Hebrew Bible (and explicitly cited – with a shade of irony at it turns out – in the 1948 Israeli Declaration of Independence). If we fail to make a deliberate choice, we may find that, before we know it, Jewish identity has been redefined from under us. The global reputation and image of Jews will bear the consequences. And so will we. Part 5: What is to be done? 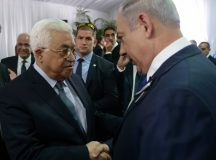 Ideally, on their part, Israel’s leaders would wake up to the impending dangers, change policy and declare their intent in principle to withdraw in full from the West Bank, subject to equitable land exchanges and satisfactory security arrangements, enabling a Palestinian state to proudly rise and replace the occupation. Even before any steps were actually taken, such a declaration, if held to be sincere, would be likely to herald a new mood and trigger a new momentum and it could give a fresh impetus to the dormant Arab Peace Initiative, which has also been unanimously endorsed by the 57 member states of the Organisation of Islamic Cooperation. Failing that, Jews in other countries could openly refuse to be complicit in a policy of blatant, indefinite discrimination by, first, contrasting their underlying affection for Israel, which is probably still true for most Jews, from a loathing of the occupation – a suitable slogan for people who feel this way could be ‘love Israel hate occupation’ – and, second, calling on the Israeli government to choose between recognising a Palestinian state imminently or, pending the resolution of the conflict, granting equal rights to everyone subject to its rule. I stress this is not a call for one state. But equal rights until there is a solution is hardly an excessive demand after 51 years of military occupation and almost no rights. In practice, no Israeli government is likely to buy into the second option, but if serious international pressure could get behind this either/or demand, obliging Israel to make a choice, it could spark new political currents in Israel and hasten the return to the Israeli political agenda of two neighbouring states. Whether this outcome is still feasible depends in part on how we picture the two states. The demography has evolved considerably since the original two-state proposal, conceived in an era of rigid ethnic divisions on the ground, and any modern scheme needs to be alive to the present-day realities. An apposite model may be provided by the peaceful splitting-up of Czechoslovakia, which left many Czech communities within Slovakia and many Slovak communities within the Czech Republic, with free movement between the two states. The goal was not ethnic purity but political sovereignty. If we see the future more in these terms, many of the ostensible barriers to the realisation of two states in the current era may prove to be far more amenable to solution than often thought. In sum, having interrogated all other options, it still seems clear that two states, possibly confederated in the future, and possibly incorporating Jordan too, remains the only formula capable of meeting the basic needs and aspirations of both peoples and on which there is already a strong international consensus. 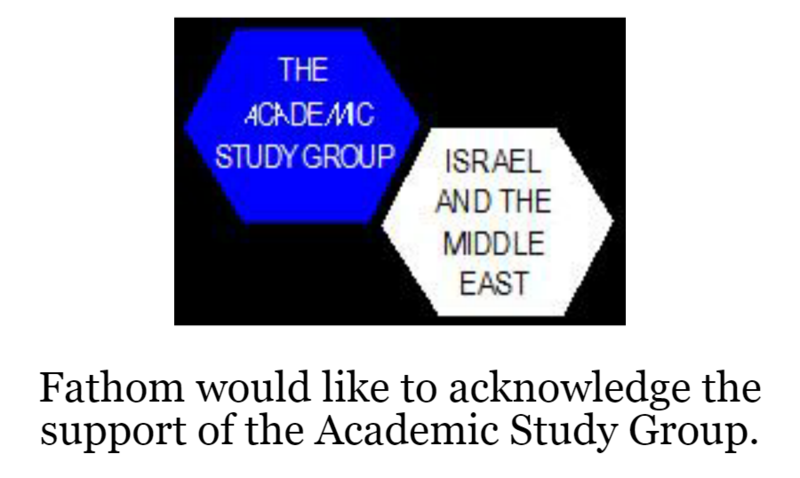 But, in the end, all the arguments will remain academic in the absence of an effective strategy to end the occupation and replace it with a sovereign Palestinian government. By far the best-placed people to do this are Palestinian and Israeli activists dedicated to ending the occupation. The onus now falls on them to overcome any inhibitions they may have about working together, or at least in parallel, and devise a common strategy that civil societies and governments around the world may unite behind. This may be the only way to create the requisite momentum, both internally and externally, that may lead to real focused pressure. The Palestinian-Israeli conflict has dominated and distorted the Jewish and Arab worlds for too long. It is time to bring it to an end and allow us all to get back to the business of being ourselves. A longer version of this speech was presented to Meretz-UK in London on 27 January 2019.